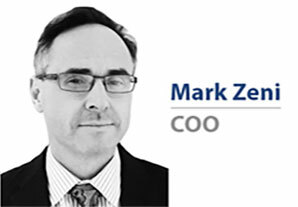 NEW YORK, NEW YORK – March 29th, 2017 – GameChange Solar announced that Mark Zeni has joined GameChange as Chief Operating Officer. Mark brings over 25 years of experience in renewable energy, semiconductor equipment, automotive and consumer electronics. He has a reputation as a results driven hands-on leader. Mark helped accelerate First Solar into a global leader delivering over 7GW of PV Power Plants in the last 8 years. He will have a substantial leadership role at GameChange Solar when it comes to strategic planning, design innovation and operational excellence. Andrew Worden, CEO at GameChange Solar, stated: “ We are excited to have Mark join the team as COO. He brings to the table a unique blend of engineering and operations experience which will help to take GameChange to the next level and continue to revolutionize the solar industry."